I stumbled into writing kids’ books a few years ago, and in doing so, I discovered a love for creating books that made kids laugh. When I published the final book in The Adventures of Zelda series, I knew I wanted to write another kids’ book series, but I didn’t know what. In the fall of 2016, amidst a job transition with my husband and caring for a new little guy in our house, I felt the itch to start a new writing project. Without the time or bandwidth to write quite yet, I decided to do some research on the kids’ book market. I went to the local library, talked with the children’s librarian and checked out the books that she said were the most popular. For the most part, I knew many of those books and series. Over the next few weeks, I read through the books and found myself disappointed in what I was reading. The books were funny, but often at the expense of a kid in the story. I often didn’t like the main characters in these books because of their bad attitude or disrespect toward teachers, siblings, and even parents. After reading several of these books, along with a few great ones, I began to brainstorm what would become Alien Kid. I created Alien Kid to be a series for middle grade readers (think 9-12 year olds) that makes kids laugh, but not at the expense of others. Charlie Baker, the main character in Alien Kid, is not perfect. He makes mistakes, but he learns and grows from those mistakes. Alien Kid is a book that parents and grandparents can hand to their kids and not worry that they will learn a bad habit or idea from the story. Instead, he or she can laugh at Charlie’s funny sayings while getting transported into a story about a kid who is trying to find his place in the world, like every one of us. I am both excited and sad to announce that The Adventures of Zelda: The One and Only Pug is now available for sale. This fifth book in the Zelda series marks the final installment of the series (at least for the immediate future). I have loved writing these books and hearing from parents, kids, and pug lovers who loved reading about a stubborn pug named Zelda. But after five books, Zelda needs some time away from the spotlight, and I don't want to sacrifice quality to pump out another book or two. It feels right to end here. Maybe some day in the future Zelda and Peach will go to space, but until then, I hope you will pick up a copy of this book and laugh some more at Zelda and Peach. Thanks for spreading the word about this series over the past few years and stay tuned for a brand new kids' book series from me in the next year! Laugh your way through four seasons with Zelda Pug and Peach! Zelda the pug is back for her fourth book of adventures with her Boston terrier sister, Peach. Together, Zelda and Peach face the evil vacuum cleaner. Zelda discovers fireflies, and Peach learns to ice skate. But one question remains. Will Peach finally catch a duck? The Adventures of Zelda: The Four Seasons is now available for sale. Pick up your copy at Amazon, Apple iBooks, Barnes & Noble, Kobo, and Google Play. For those new to the Zelda series, read the first chapter below! Or you can watch Zelda and Peach pick winners for my pawtographed Zelda book giveaways. Watch Zelda's video here and Peach's here to see how they picked a winner! (The videos are ridiculous, I know. I apologize for my craziness.) The winners were selected from my email list. I give away signed books and gift cards every month, so join my list! My sister, Peach, and I stay indoors during the bright hours of the hot summer days. When the light fades in the evening, we play in the backyard or take long walks with our family. But after many dark sleeps of this pattern, I begin to long for days with adventure and nights filled with mysteries to solve. The calm and quiet are not for a pug like me. One day I search the house for new toys. In the backyard, I sniff the entire fence looking for traces of squirrels. On our walks, I inspect the light posts, and Peach searches the mailboxes. We find nothing. With no adventures in sight, I slip into a pug depression. I wake up only to eat. I can’t help it. I can’t get excited about the same old routine. Peach, on the other hand, is her normal, spunky self. She jumps on my head when I’m sleeping under the blankets, and she tries to play with me. If that doesn’t work, she barks in my ear until I give in. We run laps around the living room or play keep away with a toy or a ball. Usually, Peach riles me enough that I pug sprint through the whole house with her chasing. When I break into pug sprints, I feel joy again. I’m glad Peach forces me off the couch. After today’s round of chase, I daydream on the couch about past adventures. I think about the snowman, Squeaks, the skate park, and Vacuum. I haven’t seen Vacuum in a long time. What happened to her? Finally, I have a mystery to solve. Peach is sleeping next to me on the couch. I nudge her with my paw. She blinks a few times and then closes her eyes. I push her a little harder. She groans at me. She is a pain to wake up! I bark twice, and with another loud groan, Peach opens her eyes. I jump to the floor. After three more groans, Peach hops to the ground. I lead Peach around the house, sniffing each door for signs of Vacuum. Peach follows me, but she is confused. I don’t think she has met Vacuum yet. When we hear Ben and Lucy walk through the front door, we sprint down the stairs to greet them. With my tail dancing, I jump in circles around them, licking their hands. “Hi, Zelda!” Lucy says. Peach jumps in the air, and her long tongue licks Lucy’s face. “Hi, Peach!” She laughs. Ben pets both of us on our head. “How was school?” Hannah asks, walking into the living room. Ben and Lucy drop their bags on the floor. Lucy hops on the couch. Peach joins her, giving her more kisses. Ben stoops to pick up a ball. He throws it, and I scurry after it, knowing Peach isn’t far behind. The Vacuum mystery is pushed to the back of my mind over the next few days. With the sun no longer burning our backs during the day, Peach and I spend more time outside. Peach chases the birds that fly through the backyard. I watch the leaves swirl in the air, knowing the leaf piles will appear soon. I can’t wait to run and jump in them. After a walk with Nate, Ben, and Lucy, Peach and I step into the house. A well-known scent fills my nose. I dash through the house. I smell her everywhere, but I don’t see her. I run up the stairs with Peach on my tail. The smell of Vacuum is stronger upstairs. I follow my nose to a door in Hannah and Nate’s room. The door is closed, but she is behind the door. I know it. I scratch at the door, trying to pry it open. Peach barks behind me. She doesn’t know what I am doing or why, but I can’t explain Vacuum without showing her. I bark back. “Zelda, Peach, leave it,” Hannah says. She stands in the doorway of her bedroom. I scratch again at the door. “Fine,” she says. Hannah walks over to us, opens the door, and then walks away. Over the next few days, I check on Vacuum in the closet. After my walks or any time outside, I sprint up the stairs to the closet. I bark at Vacuum and then run away. Some days, I bark more, hoping to get a reaction, but nothing happens. Peach follows me to Vacuum, but she stops after a few days of the same pattern. I know she thinks I am crazy. Several more dark sleeps pass by, and the whole family is home on this day. It’s a warm day, and I notice the breeze flowing through the windows into the house. Hannah lets us outside in the backyard. We run to the back fence and sprint through the yard. While we sprint and tackle each other, I hear a strange noise. I stop and listen. I bolt for the back door. On my hind legs, I scratch at the door. Peach joins me. I can’t see Vacuum, but the noise is present. I scratch and bark, hoping someone will hear us. Finally, Lucy wanders into the kitchen. She sees us at the door and lets us in the house. I scamper in the door and sprint up the stairs. I find Vacuum and Hannah together in Lucy’s room. I charge at Vacuum. Vacuum backs up, but Hannah is right behind her. I bark and take a nip toward her tube. Hannah and Vacuum move away from me to the other side of the bed. I run after them. Peach is next to me, with her high-pitched bark. She lunges at Vacuum, and I know she gets it. We bark and lunge in unison at Vacuum again and again. The noise stops. Peach turns to me. I look up at Vacuum. Hannah stands behind her, shaking her head. “Fine. I will put the vacuum away,” she says. She pushes Vacuum back into the closet. Peach and I prance out of the room together. Vacuum is back, but now it’s two against one! Release Day for The Evolution of Lillie Gable: Read the First Chapter for Free! 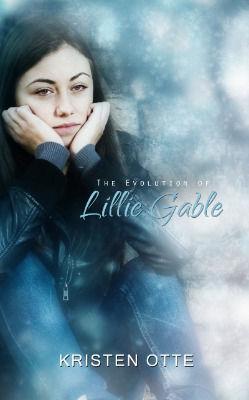 I am super excited that today is release day for The Evolution of Lillie Gable. I am really proud of this book, and I can't wait for you to read it. So I'm going to cut to the chase. Go buy the book in the Amazon store. It's only $2.99 on Kindle or $11.99 for a paperback. If you need a little teaser, the book description and entire first chapter is below. Oh. One more thing. If you don't have a Kindle, you can read kindle books on any android or apple device. Simply download the free kindle app. Happy reading! She is the life of any party. Her boyfriend, Jake, is a smoking hot senior, and Lillie is on track to be a starter on the varsity girls' basketball team this year. But trouble looms behind the façade. Lillie's home life is a wreck. Her father is hiding a secret, and Lillie is determined to find the truth, even if it tears apart her family. While she searches for the truth about her father, the last thing Lillie needs is a feud with Angela Barrett, the brass, bleached blonde senior who is the queen of the rumor mill. Angela is determined to ruin Lillie's reputation because she has set her sights on Lillie's boyfriend, Jake. Heartbroken and humiliated, Lillie can't return to the life she once knew. Does she have the strength and resolve to forge a new path now that everything is changing? The sound of something vibrating woke Lillie Gable from a deep sleep, but she cast off her comforter and sprung up to find the source of the buzzing. She stepped over the heap of clothes in the middle of the floor and rooted through the mess of folders, notebooks, and papers. Under her class schedule, she found her cell phone. Lillie turned and looked at her clock. “Jake and I can meet you at the beach by noon,” she said. Lillie hung up the phone and texted her boyfriend, Jake. She found one of her swimsuits on top of the pile of clean clothes next to her closet. After Lillie changed and gathered a few supplies for the beach, she walked down the stairs. Her mother, Leslie, was in the kitchen unloading the dishwasher. “Good morning,” her mother said. “Hi, Mom,” Lillie grabbed a bowl from the cabinet next to where her mother stood. Lillie’s latest growth spurt put her at five feet ten inches, and when she stood next to her short and stocky mother, Lillie looked like a giant. Her mother’s short and spiky pixie hairstyle was also much different than Lillie’s long, brown hair. The lone resemblance between mother and daughter were their bright, hazel eyes. “I have some bad news,” her mother said. Lillie’s parents had a tradition to celebrate the last day of summer together. School resumed on Tuesday, so the family planned dinner for Monday at one of their favorite restaurants. “Seriously? It’s been on the calendar for a month now,” Lillie said. Lillie’s mother worked as an intensive care unit nurse. She worked the evening shift, four nights on, then two nights off. Dan Gable, Leslie’s father, was a sales manager who travelled a few days of every week for work. With her parents’ schedule, the opportunity for all three of them to be together was rare. “He has to stay an extra day in Chicago for work,” her mother said. She had her back to Lillie. “Whatever you say,” Lillie said. She was tired of her father’s work schedule and his excuses. He was always traveling for work, and he skipped out on Lillie’s basketball games and their family plans a lot. The last straw with her father came the night before the district final last March. To celebrate Lillie dressing varsity as a freshman player, her father had planned a night out for the two of them. He’d bought tickets for the Cleveland Cavaliers game and made reservations at a new barbecue restaurant next to the Cavs arena. Lillie had been excited to watch Lebron James play and spend time with her dad. After practice, Lillie went home, but her father never showed. He called an hour later, apologizing profusely about having to stay late at work. Lillie didn’t buy it—it was Friday night. Furious and frustrated, Lillie went out with her boyfriend to a party. To feel better, she drank a few beers and then a few more. By midnight, she couldn’t talk in complete sentences. Worried that she might have alcohol poisoning, her boyfriend, Jake, drove her to his house to keep on eye on her for the night. With Lillie’s phone, Jake texted her mother to tell her she was staying over her best friend Rachel’s house for the night. By the time Jake woke her the next morning, Lillie had missed the bus for the district final. She checked her phone to see several text messages and a missed call. Rachel Brandt, her best friend and teammate, left a voicemail and messaged Lillie to ask why she wasn’t on the bus. Her mother texted a good luck message, but her father hadn’t called or texted to check on her. Lillie brushed away the tears forming in her eyes. Her father didn’t care about her. Jake drove Lillie to the game, and she arrived before the opening tip, but her coaches wouldn’t let her sit on the bench with her teammates. Lillie was a starter for the junior varsity team, and typically, she only played a few minutes in the varsity games. She cheered for her teammates from the stands, furious at her father, and disappointed in herself. Her absence on the bench didn’t hurt the team’s chances of winning the game, but she lost the trust of her coaches. Lillie vowed to never trust or rely on her father again. “What are your plans for the day?” her mother asked. Lillie snapped out of her memories, letting the anger settle back inside her. “Going to the beach,” Lillie said. “It will be a perfect day to be at the beach,” her mother replied. Lillie’s phone buzzed in her pocket. She glanced at it. “Let’s play boys versus girls,” Lillie said with a devious grin. Her chestnut-brown hair blew with the lake breeze. She turned to Rachel who sat next to her on their blanket in the sand. “We can take them,” Rachel said. She smiled, but her brown eyes were sizing up their boyfriends, Brent and Jake. The boys were standing a few feet away tossing a football to each other in the sand. “Let’s play, then,” Jake said. He walked over to the blanket and offered a hand to Lillie. His messy, blond hair and blue eyes were hard to resist, but Lillie waved him away. “I don’t need any help from you,” she said. “You guys are going down!” Lillie vaulted forward, sending sand flying in all directions. A few nearby sunbathers turned in their direction offering up dirty looks to Lillie. She yelled “Sorry!” on her way into the gentle, cool waves of Lake Erie. Due to a mild summer, the lake water remained chilly until a week or so ago. The cold water hadn’t kept Lillie out of the water earlier this summer, but she was bummed that the warm water had only returned in time for school to start. Lillie, Rachel, Brent, and Jake waded through the rocks and waves to the sandbar. The water reached Lillie’s shoulders before she felt the sand between her toes. On the sandbar, the shallow water rose to Lillie’s waist at the deepest sections—perfect for a game of water football with the boys. “Okay, what’s our strategy?” Rachel asked. Lillie stood a few inches taller than her best friend, but whatever advantage Rachel lost in height to Lillie, she made up with speed and tenacity. The boys were talking to each other several feet away. “Beat them,” Lillie said. Together, Lillie and Rachel were tough to beat on the basketball court. When they weren’t on the court, they didn’t like to lose, even in a game of water football with their boyfriends. “The good news is we weigh the same as the boys,” Lillie said. Rachel laughed. Brent was tall, maybe an inch or two over six feet, but his body was typical of a runner–skinny and toned. Lillie guessed she weighed more than Brent with his three-percent body fat. Jake’s frame resembled the typical male high school athlete’s. He didn’t play any sports at Eastbrook anymore, but his free time was spent at the gym. He was close to six feet tall with broad shoulders, toned arms, and six-pack abs. “That’s not a plan,” Rachel said, glancing over her shoulder at the boys. “The end zones line up with the buoys,” Brent shouted across the water as he pointed to his left and right. “Ladies can have the ball first. Ready?” Lillie and Rachel looked at each other, then both gave a thumbs up. Brent launched the football into the air toward the girls. Lillie backed up a few paces, waving Rachel off. She caught the ball. “Block for me!” Lillie shouted. She started running, but her dash for the end zone through the water resembled a power walk. The water slowed her down, but Brent looked like he was gliding through it without any resistance. As he closed in on her, his blue eyes sparkled in the sunlight, and Lillie knew she was in trouble. She looked over her shoulder. Rachel jogged behind her, so Lillie slowed down. They ran forward. With Brent a dive away from Lillie, Rachel dashed in front of Lillie and took a flying leap at Brent. She caught him off guard, sending both of them crashing into the water. Lillie laughed and kept running. With Brent down, Jake remained the only obstacle to Lillie’s touchdown. She knew he wanted to tackle her, to feel her body close to his, but she didn’t want to give him that joy during this game. She had a touchdown to score. If she barreled through him, she could make it to the buoy. Lillie put all her strength and speed into forward motion and steamrolled Jake. She elbowed him in the stomach, and a knee landed below the belt. He crumpled into the water, so Lillie hesitated. He resurfaced seconds later and leaped for Lillie, wrapping his arms around her waist. She pressed forward, looking at the buoy several paces ahead on her left. Her legs burned from carrying Jake’s heft and weight, but a touchdown was within her reach. Dragging Jake behind her, Lillie used her remaining strength for a final push to the goal line. She lunged forward. “Touchdown!” she shouted, crossing the imaginary goal line. Jake released his grip on her. Lillie threw her arms in the air and then spiked the football into the water, splashing both of them. Rachel celebrated from across the water with cheers and arms raised, and she failed to see Brent until he tackled her. They both fell into the water. Lillie laughed. “We let you have that,” Jake said as he approached Lillie. “I’m not sure I would call a knee to the groin fair,” he said. “Sorry about that,” Lillie said, turning to him. “Let me make that up to you.” She wrapped her arms around him and let her lips dance with his. His wet, muscled body was warm against hers. “Maybe you can make it up to me later?” he asked between kisses. “We’ll see,” she said, pulling apart from him. “First, we have a game to finish. She grabbed the football and swam to Rachel. They played a few more rounds in the water before calling the game. Lillie and Rachel squeaked by with a win because they had one more offensive possession than the boys. They didn’t care if it was unfair; they wanted to win. Exhausted, the four of them strolled out of the water and sprawled across their blanket in the sand. The girls took the middle places with the boys on opposite ends. With the sun at its afternoon peak, they dried off in a matter of minutes. “I can’t believe today is the last day of summer,” Rachel said. “Lucky,” Lillie said. Rachel and Brent were juniors, but Lillie was the young one of the group—she was a sophomore. “Either way, it’s going to be a great year,” Rachel said. Lillie knew it would have to be better than last year for Rachel. Rachel had lived with her grandparents all of her life. Her father was killed in the Gulf War when she was a baby, and her mother had been out of the picture until last year. Against her grandparents’ wishes, Rachel met her mother. The meeting wasn’t what Rachel expected. She discovered the truth about her mother, father and why her mother left. The truth devastated Rachel, but over time, she moved forward. She forgave her mother and started talking with her. Lillie looked over at Brent and Rachel, who lay close together with their hands fingers intertwined. They looked at each other like they would be together forever. Brent had stayed by Rachel’s side through the tough moments last year. Their romance is more than a typical high school fling, she thought. She turned her head to face her boyfriend. She had fun with Jake, maybe a little too much fun, but she couldn’t imagine a life beyond high school with him. Jake pulled into Lillie’s empty driveway. She kissed Jake good-bye and walked through the front door into an empty house. She wondered where her mother was. Lillie marched through the entryway, past the living room, into the kitchen in the back of the house. Under the basketball magnet on the refrigerator, Lille saw a note and a twenty-dollar bill. I took an extra shift tonight at the hospital. Here’s money to order pizza or to go out with your friends. Lillie ripped the note to shreds and threw it in the trash. Home alone again. She picked up her phone and called Jake. “Great. That is enough time for me to shower and clean up,” Lillie said. “I can help you shower,” he said. Lillie groaned. “No thanks. See you in a bit,” she said. She walked upstairs and jumped into the shower. By the time her hair was dry, she heard Jake’s car pull in. She hurried down the stairs to greet him. Jake walked in carrying a six-pack of beer. He wore black athletic shorts with a snug, gray Eastbrook football T-shirt that accentuated his muscles. Lillie bit her lip. “Didn’t you say something about a family dinner?” he asked, placing the beer in the fridge. “That’s good news for us.” He walked over and sat next to Lillie on the sofa in the living room. He leaned in and kissed her. She kissed him back, her lips growing more furious with each moment, pushing her hurt further back with every kiss. The touch of his cool hands on her back sent a shiver through her body. She pulled him on top of her on the couch. It was almost ten, and Jake needed to go home, but she didn’t want him to leave her in the empty house. “What are you saying?” Lillie asked. “Let’s ditch school tomorrow. We can spend the day at the beach. It will be quiet because everyone will be at school, and we get to have one more day at the beach,” he said. Excitement was written all over his face. “Ditch? I don’t know, Jake,” she said. She loved his impulsiveness, but ditching school could get her in serious trouble. “It’s the first day. You know nothing happens on the first day. Teachers aren’t paying attention to who should be at school and who isn’t there. It’s the perfect day to ditch. We’ll leave at the same time we should be heading to school. Your parents won’t have a clue. They aren’t around ever.” He grabbed her hands and looked into her eyes. “C’mon, it will be lots of fun.” She turned her gaze from him and mulled over his argument. He’s right. The first day of school is pointless. “Okay. Let’s do it,” she said. He grinned, gave her a big hug, and lightly kissed her lips. “I’ll pick you up first thing.” He turned and walked out the door. Lillie locked the door behind him. She turned off the lights before heading upstairs. She brushed her teeth, set her alarm, and collapsed on her bed. The silence overwhelmed her. She switched on her television so she could sleep. I hope you enjoyed the first chapter of The Evolution of Lillie Gable. Click here to buy the book. To celebrate the release of The Evolution of Lillie Gable, I am hosting a giveaway this week. The prize for the giveaway is a collection of three books: an autographed copy of The Evolution of Lillie Gable, an autographed copy of The Photograph, and a pawtographed copy of The Adventures of Zelda: A Pug Tale. The giveaway runs today March 29 through midnight on Thursday April 2nd. I will throw all the entries into a hat and announce the winner on video by Saturday April 3rd. So how do you enter the giveaway? There are four ways for you to earn entries in the giveaway. Leave a comment on this post. In the comment, tell me about a great book you've read recently. If you do all four options above, you will have six entries in the giveaway. If you already follow me on twitter, facebook, and my email list, don't despair! An exclusive giveaway for email list subscribers is planned for the near future. I am excited to share the release date and cover for Torn by Kate Sparkes. Kate and I are friends in the twitterverse, and she's a great up and coming fantasy writer. Torn is the second in the Bound Trilogy. I sincerely enjoyed Bound and look forward to reading Torn. Torn releases on March 31, 2015 (the same day as I release The Evolution of Lillie Gable) . Great minds think alike! Check out the cover and more details on Torn below! Plus, you can pick up Bound on sale now! Aren Tiernal knows that safety is an illusion, that his cruel and powerful brother Severn will never forgive his betrayal. Still, returning to Tyrea to challenge Severn for the throne would be suicide. It’s not until Severn himself comes to collect what’s owed to him that Aren decides to risk everything in an attempt to bring down the most powerful Sorcerer Tyrea has ever known. It’s a mission that seems doomed to fail, but it’s Aren’s only chance to save himself, his country, and the woman who thawed his heart. Rowan Greenwood has troubles of her own. Though she has potential to become a great Sorceress, years of being closed off from her magic have left her unable to control her incredible power. When a pair of ominous letters arrive from her home country, Rowan has to choose between her new life and a chance at saving a family member’s life—and just maybe changing an entire country’s beliefs about the evils of magic. I'm excited to announce that The Evolution of Lillie Gable, my second full-length young adult novel releases on March 31, 2015! Lillie's character is much different than Rachel Brandt in The Photograph, and I'm excited to share her story with the world. If you want a preview of the book, check out the sneak peek snippets section on the blog along with the blurb below. I will let you know about pre-order information in the coming weeks, along with more teasers about the novel. The Adventures of Zelda: A Pug Holiday is finished! What is this pug holiday book? It's a PDF with six stories. Five are holiday themed Zelda stories from the first three Zelda books. (You can see the list below). If you haven't read any Zelda books, the holiday collection is the perfect introduction. The stories are great bedtime stories for children and the collection is free. If you already read the Zelda books, don't despair! The sixth story is a brand new exclusive story. It's the first in a new Zelda spinoff series starring Peach! Well, really it's starring Batpeach, and the spinoff series will continue with more volumes in the future. The Adventures of Zelda: A Pug Holiday is free, but only available to my email list. Simply click here and sign up. I also email my list 1-2x a month about new releases, promotions, and stories, so you receive a free pug book and updates on when to grab my books for cheap! I hope you enjoy the pug holiday fun! To continue in the launch week fun, Zelda and Peach agreed to a short interview with me to talk about the books and what they have been up to lately. You can watch the ridiculousness below! If you haven't picked up your copy of The Adventures of Zelda: Pug and Peach, now is the time! Visit the launch page for the links to buy a copy. I had a grand idea for a photoshoot with Zelda and Peach to help promote the release of the third book in the Zelda series The Adventures of Zelda: Pug and Peach. I grabbed my camera, the dogs, and my husband and off we went to get some good pictures. I thought it would be a piece of cake. Last week, we went canoeing and managed to get some great shots of them while in a canoe with doggy life jackets!We jumped in the jetta and took a short ride to a nearby park. This was the first shot. As you can see, Peach and Zelda were not cooperating–double snaggleteeth and a tongue. We tried a few more times with no luck, so we switched locations, out of the sunlight. At this point, Zelda's photogenic powers returned. She jumped onto this ledge on her own and was a champ while we snapped some pics. Peach, on the other hand, was still not cooperating. In fact, I think she wanted to kill us for putting her on this pedestal. We left the park and returned to our neighborhood and familiar territory. Peach was much happier here and we were finally able to get some good pictures. Well, almost. Peach refused to display her best feature–her ears. This was the closest we could get to a picture with Peach's ears standing up in all of their magnificence. Here's the shot I like the best. No Peach ears, but no weird sunlight or shade and more importantly, two happy dogs! Don't forget to join in the launch week fun for your chance to win some Zelda books! Check out this post to learn how you can win some books or where you can buy the latest book in the Zelda series.